Vulnerability — I know this doesn’t sound like a strategy but it’s a huge one for me. By sharing myself honestly and authentically with others (who I feel safe with) what I’ve found is that I learn that I’m not alone in my struggle. Knowing that you’re not alone — that all humans struggle is one of the foundations of Self-Compassion and it’s a game changer. It’s part of the power that comes from movements like #metoo — simply knowing you’re not alone can transform how you feel about your struggle and yourself. As a part of my series about “Connecting With Yourself To Live With Better Relationships” I had the pleasure to interview Gillian Goerzen is a health coach, trainer and author. 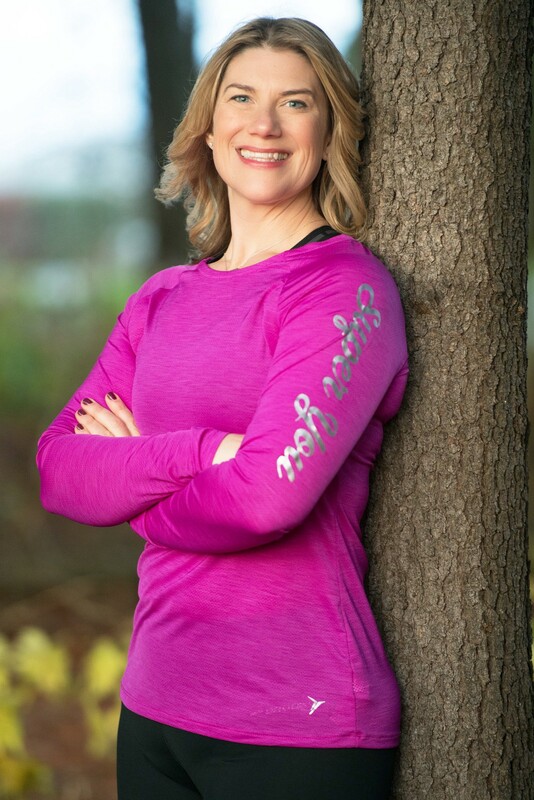 With a degree in Kinesiology and over 20 years of health coaching experience, Gillian’s personalized lifestyle strategies have helped hundreds of clients redefine what fitness means to them, and get lasting results they never dreamed possible — free from diets, programs, systems, pills and products. From hating her body at the age of 5, it took more than 20 years, an eating disorder, an Ironman, and becoming a mom to finally uncover the kinder, more compassionate approach to health and fitness that she teaches today. 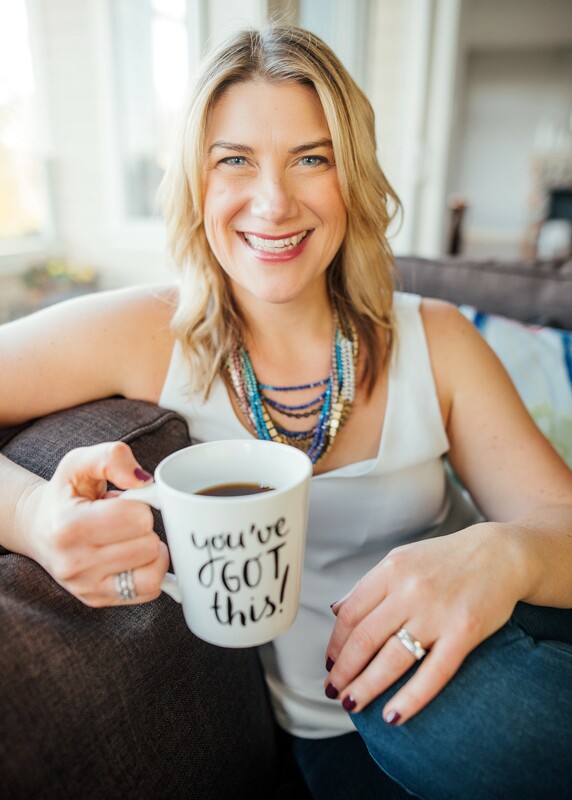 Gillian coaches clients from all over North America through her business Super You and is the author of The Elephant In the Gym. Chat with Gillian at http://www.superyou.ca. When I tell people I’m a health and fitness coach the assumption is I’ve always been fit and healthy — but that’s not my story. I spent much of my life feeling very unfit and uncomfortable in my own skin. I struggled with my weight as a child, had an eating disorder as a teen and didn’t really discover my truest expression and practice of health until well into my 20’s. I wouldn’t say I found comfort in my skin until I became a Mom. Once I tapped into what I believe to be the “trick” to lasting health and fitness and truly loving my body — I wanted to shout it from the rooftops and share it with every other woman on this planet! I am! I just launched my first book, The Elephant in the Gym: Your Body Positive Guide to Writing Your Own Health and Fitness Story in November. Since the book launched the feedback has been incredible and I’ve had more and more interest from people to work with me. I’ve long had a vision for a studio –but opening a brick and mortar studio has never felt quite right for my life. So I’ve re-imagined what the concept of a studio could mean. In April, I’m launching a fully online studio, complete with self-paced video coaching, health and fitness masterclasses and a library of fitness, yoga and meditations. And of course an amazing community! The entire intention of the studio is to give women the information, tools and support they need to feel empowered, inspired and confident in their health and their life. When we have a great relationship with ourselves — that trickles into our relationships with others. My approach is grounded in the science of health and fitness but wrapped in body kindness, body respect and self-compassion. When we practice these things in our daily lives, there is a beautiful ripple effect out into our lives that benefits everyone! So many stories. I have a few what I would consider to be “tipping points.” The first was completing an Ironman triathlon. This chubby girl who grew up hating her body for all it couldn’t do — completed what is arguably one of the toughest physical feats in the world. I was 21 and it was a game changer. I saw my body with a whole new level of respect. The other major one would be having children. After the Ironman and numerous other events over the years I had profound respect for my body — but I still longed to change it. To have it “look” more like what I had in my head as “ideal.” Becoming a mother and building a human changes your body — in profound ways. I struggled post-natal. During pregnancy I was forever wowed by my body, but afterward I was embarrassed by it. Shouldn’t it just “snap back?” But with time, and a developing practice of self-compassion I found true peace with my body. I began to cultivate a view of health and fitness that wasn’t about what my body looked like — but about what it can do. Self-compassion is a transformative practice, which is why it’s such a huge part of my philosophy around health and fitness. Some of the major causes are media and the images we use to represent health and fitness. Recently I was speaking with some 11 and 12 year old kids about body image and health. I asked them, what does health look like? They universally answered with the following words: thin, toned, muscular, abs and lean. It’s the image most of us would “pull up” if we were asked the same question. What’s frustrating is that healthy and fit doesn’t have a look; true health and fitness is about how your body performs. Just look at the body diversity that exists in athletics or among the healthy people you know in your life. But there is no diversity in the imagery used by marketing, especially not fitness marketing. But that’s not all! Not only is imagery not diverse, it’s not real! Virtually all marketing images are digitally altered, and that’s after all the tricks of makeup, lighting and photography angles. Even regular people now don’t post on social media without fancy filters and editing their photos. Nothing is real! We soak this all in all day long. It impacts what we view as normal. It’s natural and normal to compare ourselves. There’s a whole psychological theory behind it called Social Comparison Theory. Comparison can serve to inspire and motivate, but more often than not it leaves us feeling like we don’t measure up, and we’d better do something about it (insert magical product here, well done marketing team). The biggest consequence is that we spend a huge amount of our personal resources — energy, time and money, trying to “fix” our bodies and change them. This pursuit of perfection is so fruitless. Because 100% of people will never look like those images we compare ourselves to, because the models themselves don’t look like that in person! I often wonder what would be possible in the world if we re-invested all the energy, time and money we devote to match this standard of beauty into other things. I think it could really change the world as we know it. I don’t think it’s cheesy at all! Here’s what I know. If you can’t care for, be respectful of and truly love yourself, you can’t do the same for others. When we take care of ourselves from a place of love and respect it is transformative. I’ve seen clients develop profound love and respect for themselves and watched it transform their relationships with the important people in their lives. I’ve seen clients develop care and compassion for themselves and then seen how that impacts their approach as a parent. I’ve seen clients grow a newfound level of respect for their bodies and seen how that translates into respect for their time and boundaries at work. This impacts everything. Our health, our relationships and our work or business. We live in a world of never enough. We’re bombarded by messages that tell us we don’t measure up and we should do more, be more, and look better. When you’re constantly told these messages, it impacts everything. We don’t see possibility for ourselves anymore. It keeps us small. We stay in jobs we don’t love because we don’t have the confidence to pursue our passions. We stay in relationships that don’t serve us because we don’t have healthy boundaries. We settle. Because at some level we don’t think we deserve more. Or we believe more is for “others” or for us, but later (once we lose the weight, get the great job, finish this…). My advice is this. Don’t wait for “when.” If you’re not happy, take action. Take one step today to improve your situation. If you’re in a job you don’t love, what one step could you do today to change that? Could you get a new job, or could you relate to the one you have differently? If you’re in a relationship that isn’t serving you, what isn’t serving you and what small thing can you do to change it? Allow yourself to be creative in what that step will be. Being willing to get curious and explore is a huge part of what enables us to shift and move forward in a positive direction. When I’m coaching clients around their health I invite them to complete something I call a Compassionate Audit. In this audit they look at each area of their life (Work/Business, Family, Community, Personal/ Professional Development and Health) critically without judgement and ask two simple questions: are you happy and are you fulfilled? From those questions we explore whether acceptance of what is might be the best answer right now, or whether there are actions we can explore to shift things. Sometimes the best answer truly is acceptance, but sometimes it’s not. It’s about gaining clarity around where we need to shift and where we don’t. Back in 2013 I was working for a corporate fitness and wellness company with contracts across Canada. I was in an upper management role and was supervising upwards of 50 employees and contractors working at our sites. And I was miserable. I was having anxiety just sitting down at my desk. I was overwhelmed and I didn’t enjoy my job anymore. I missed working directly with people. The universe intervened and the company went bankrupt. I was offered a contract from one of my corporate clients to continue on. I said no. I knew it wasn’t where my heart was anymore. I knew it was time to start my own business. So I took the leap and opened my fitness and nutrition coaching business, Super You. I’m so grateful I did. I really connect to Brene Brown’s definition of belonging — that true belonging is about belonging to ourselves. I think as a culture we have a tendency to create a façade of belonging through being busy. If we have lots of people in our lives — we must belong, right?! But so often we end up feeling overwhelmed, surrounded by people, and lonely. I think when we can truly belong to ourselves our comfort with being alone both literally and metaphorically grows. As we truly belong to ourselves, we no longer feel the need to constantly distract ourselves with people, things and projects. We’re more comfortable saying no to what doesn’t work, and really take a stand for what we want in our lives! When we know deeply and intimately what we believe in and want for our lives, and pursue that with a kind and compassionate respect for ourselves, I believe that level of authenticity translates into how we show up in relationship. When I was constantly worried about what others thought about me or my body I couldn’t be present. I couldn’t genuinely connect — because I was too distracted by all the clutter in my head! I also found myself trying and pushing in certain relationships because I thought I “should.” But truly loving and respecting myself means I don’t “should” all over myself. I’m much more confident to pursue my personal path and know that those who wish to join me are my people. Those who don’t, that’s ok! a) The best thing we can do as individuals is to work on self-understanding and self-acceptance ourselves first. The practice of self-compassion is truly transformative. If you’re not familiar I highly recommend the work of Dr. Christopher Germer and Dr. Kristin Neff. Their Mindful Self Compassion Course or any of their books are a fabulous resource for the exploration of these ideas. When we actively practice self-compassion and kindness towards ourselves, we give others around us permission to do the same. This creates a beautiful ripple effect. As individuals, we can also become advocates for change. When we see imagery that perpetuates the narrow aesthetic of health and beauty we can speak up — or vote with our dollars, likes and follows. Tell businesses we want to see change — demand it in a way they’ll hear! b) As a society I think there is much we can do. As a whole, we need to advocate for changes to marketing imagery. We need to educate children about health and around the ideas of self-compassion and true belonging. We need to role model sustainable health practices that connect us to what our bodies can do, not what they look like –then reallocate our resources of energy, time and money to pursuing our passion and making an impact in our communities. 1. Meditation — mindfulness meditation has been a huge strategy to help me develop more love for myself. It enables me to stay connected with and grounded in the present moment. I often practice simple 1 minute breath meditation or use the Metta Phrases (from Buddhist meditation): may I be safe, may I be healthy, may I be happy, may I live with ease. I close my eyes, connect to my breath at my nostrils and simply repeat these phrases. It’s a powerful practice. 2. Talismans — Talismans are physical reminders to help us stay connected to something. I use talismans to help me connect to practices. For example, if I’m working on a specific habit of speaking with kindness to myself I might wear a specific bracelet that helps remind me of that. 3. Gratitude — the expression of gratitude keeps me connected to all I already have and helps curtail the urge to strive for more and better. One of the ways I practice this with my body is with 3-breaths of gratitude at the completion of every workout. The first breath is for all my body just did, the second is for all my body did all day long, and the third for everything it does every single day. 4. Mantra — Mantras are words or phrases that are reflective of self-talk we wish to encourage. I use mantras in my workouts, but also in how I want to show up in relationships. Before I pick my kids up from school I have an alarm that goes off on my phone to remind me to be kind, calm and present. It shifts my attention to the present and allows me to show up as the mom I want to be. 5. Vulnerability — I know this doesn’t sound like a strategy but it’s a huge one for me. By sharing myself honestly and authentically with others (who I feel safe with) what I’ve found is that I learn that I’m not alone in my struggle. Knowing that you’re not alone — that all humans struggle is one of the foundations of Self-Compassion and it’s a game changer. It’s part of the power that comes from movements like #metoo — simply knowing you’re not alone can transform how you feel about your struggle and yourself. · The Mindful Path to Self-Compassion by Dr. Christopher Germer and Self-Compassion Step by Step by Dr. Kristin Neff were both hugely beneficial to my understanding of self-compassion and the application of it in my life! · Any work by Sharon Salzberg — transformational leader in mindfulness meditation. · Meditation for Fidgety Skeptics by Dan Harris and Jeffrey Warren. · Brene Brown — anything by this brilliant woman. I especially loved Braving the Wilderness. · The Happiness Advantage by Shawn Achor — loved this book and how Shawn presented the research on happiness and how we can apply it in our lives! · The Book of Joy — such brilliant wisdom from the Dalai Lama and Archbishop Desmond Tutu. · Women, Food and God by Geneen Roth for insights around our relationship with our body and food. I imagine a world where every person is healthy and confident in the skin they’re in — where they can re-invest their resources of energy, time and money into work and relationships that truly matter to them and the world. I believe this change is possible. And it starts one person at a time — starting a ripple effect! “You do you.” There is no other person on this planet with the same genetics, priorities, commitments, gifts and talents. Get out there and rock your one precious life in a way that brings you joy. Keep your eyes in your own lane and honor your path and your purpose.